There are worse things to be done than trying to eat healthy. For me it’s trying to get more fibre, fruit and grains into my diet. When Graze was recommended to me by a friend, (Complete with coupon code) I couldn’t say no! At the time of writing I have received three boxes. I have enjoyed each and every one of them, which includes the twelve different snacks I have sampled so far. 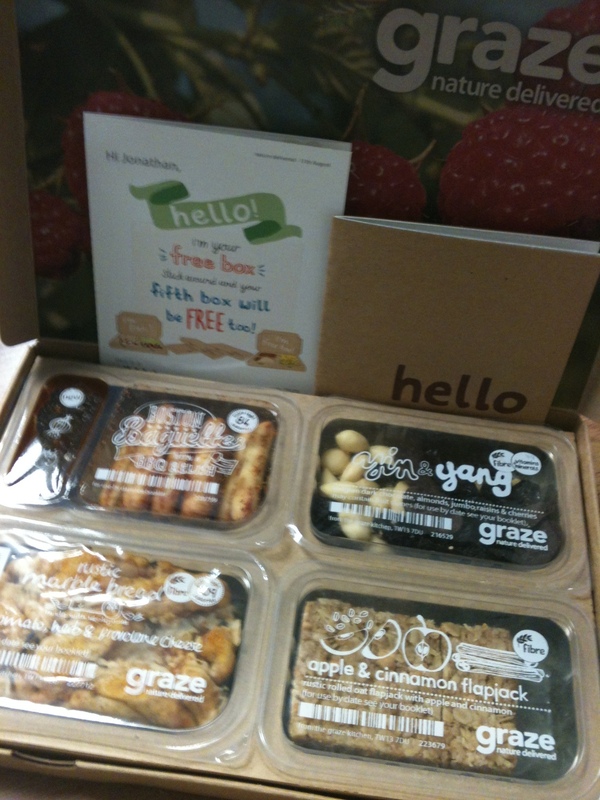 Graze is helping me personally to eat lots of things I rarely touch, particularly grains, nuts and seeds. Usually I grab a bag of crisps or a bar of chocolate when I get a pang of hunger in my stomach. Graze is opening up my eyes to a whole variety of healthy alternatives I could be snacking on that are actually beneficial instead of artificial. The entire Graze experience is seamless and endearing. Friends and coworkers have exclaimed at the beautiful and personal presentation of the boxes and included leaflets that bare my name. The website makes it easy to order boxes and adjust their frequency – including a feature to miss out on your box for a week or so while you’re on holidays. 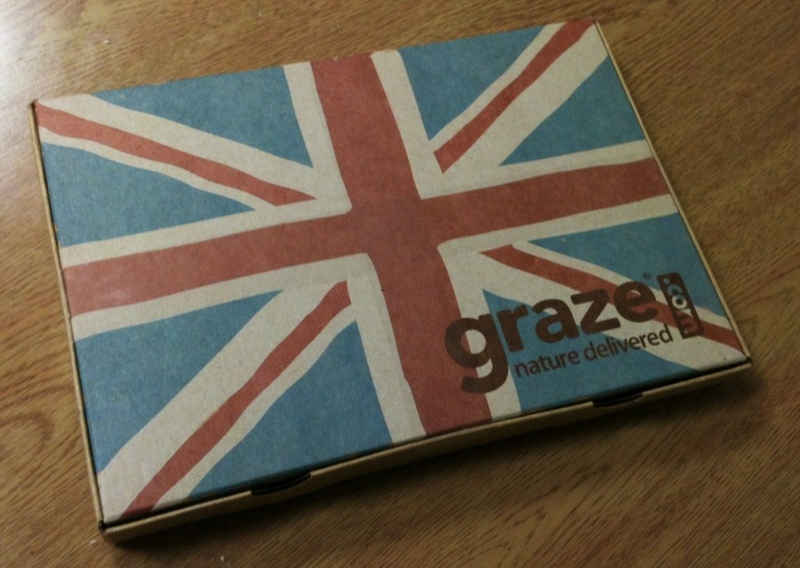 The rating system follows the example of every other part of Graze, it is simple and easy. You can rate foods up or down and can even make sure certain foods never make it into your box whether it be because you are allergic to a product or because you can’t stand the taste of dried cherries. Graze has opened up my eyes to an entire world of tasty, healthy snacking. My only gripe is my apartment letter box is too thin for the box to fit through, but that one is on me. Graze is my weekly treat of healthy eating that is gently pushing me to snack healthier every day. This entry was posted in Food, Website and tagged Food, fruit, grains, graze, Lunch, nibbles, nuts, post by Jonathan Day. Bookmark the permalink.